News>Other>Education Minister launches new Wales at War platform. Education Minister launches new Wales at War platform. On Monday 2 November 2015, The National Library of Wales will launch a new Wales at War platform at St Cyres School, Penarth – a major, bilingual digital resource for schoolchildren, teachers and anyone with an interest in the First World War and its impact on Welsh communities. Wales at War has been funded by the Armed Forces Community Covenant, the Heritage Lottery Fund (HLF) and the Department for Education and Skills in Welsh Government. The project is led by the National Library of Wales, in partnership with the Royal Navy and schools in Wales. The project has also benefitted from working closely with a range of partners, including the Armed Forces, the Royal Commission on the Ancient and Historic Monuments of Wales, the Archives and Records Council Wales and the Commonwealth War Graves Commission. 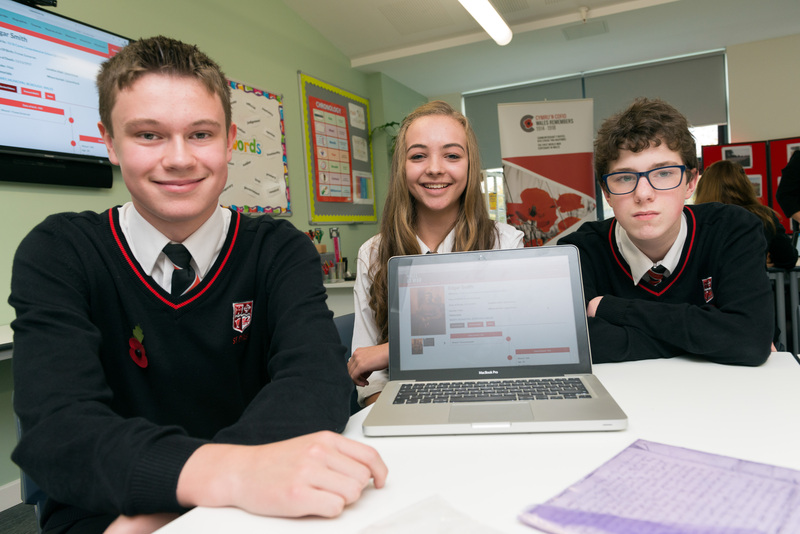 Wales at War will engage young people in Wales in activities to develop their understanding of the history of the war using digital sources. The platform includes a timeline of the First World War with a distinct Welsh flavour, a Theatres of War section depicting where Welsh Service personnel fought, and a tool to engage young people and the general public in historical research by supporting them to create biographies of the names listed on their local war memorials. The project will raise community awareness of the memorials, drawing attention to any conservation needs, and will serve as a meaningful legacy of the First World War in Wales. The project forms part of the Welsh Government’s Cymru’n Cofio Wales Remembers 1914-1918 programme of commemoration for the First World War taking place across Wales. “I am delighted to launch the new Wales at War platform – a project that will develop inclusive learning and encourage heritage activities as part of the commemoration of the centenary of the First World War in Wales. The website is available at www.walesatwar.org and the app can be downloaded, for free, from the App Store, Google Play and through Hwb, the Welsh Government digital learning platform. Wales at War is an important community outreach project that will foster greater collaboration between young people and communities to discover more about the impact of the war on life in Wales. By 2019, with your help, the project hopes to have collected the personal stories of the 40,000 or so Welsh men and women – soldiers, sailors, airmen, nurses and civilians – who lost their lives as part of the Welsh war effort.